Want to watch sample videos shot with the EOS 5D Mark III? Click here for three short films, and accompanying behind the scenes footage: Color of Hope, Eye of the Mind, and Mario & Nette. Canon's EOS 5D Mark III succeeds one of the industry's most significant digital SLRs ever – the previous EOS 5D Mark II. That camera wasn't the first digital SLR on the market to offer video capabilities, but it most assuredly was the first to be adopted by the video industry and applied to everything from shooting weddings and events to full-blown Hollywood cinema production. Since the 2008 launch of the EOS 5D Mark II, users have wondered what refinements in HD video recording its successor would bring to the market. In this document, we'll explore some of the new highlights for the HD video camera user. While the previous EOS 5D Mark II was renowned for its exceptional video image quality – especially at low light levels – Canon's engineers have not rested. 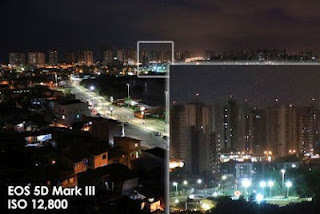 A totally new, full-frame CMOS imaging sensor is used in the Mark III model. And this sensor was designed from the ground-up to provide superior HD video image quality, with noticeable improvements in control of moire and false colors. Noise reductions at higher ISOs is perhaps the most readily noticeable area of quality improvement (significantly better than the Mark II model, which was already highly-regarded in that area). For both still and video recording, Canon's engineers claim about a two stop improvement in high-ISO image quality. An entirely new DIGIC 5+ processor significantly contributes to the EOS 5D Mark III's image quality improvements, working in tandem with the new CMOS imaging sensor. DIGIC 5+ is especially critical for its role in noise reduction, and the improved EOS 5D Mark III performance in this important area. The bottom line: critical shooters concerned with maximum image quality will find that whether in bright or subdued lighting, the EOS 5D Mark III raises the bar by a noticeable margin. 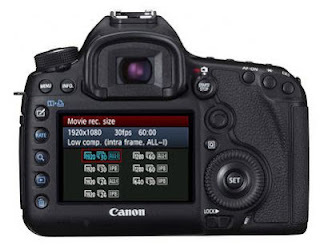 • IPB compression– Unlike the "IPP" method used in the previous EOS HD-SLRs (which could not be changed in-camera), the "IPB" compression option in Canon's new EOS 5D Mark III and EOS-1D X (as of March 2012) allows for good image quality and a significant reduction in overall file size. It's especially well-suited for situations where a video shooter expects to use relatively long, continuous-running clips (think of recording an event such as a press conference), where lots of tight editing is not as likely to occur in post-production. A single 4GB file will typically allow up to about 15 minutes of continuous recording, at Full HD 1920 x 1080. • NEW: "ALL-I" compression– Entirely new, this compression method processes each frame as a single image, and each frame can be edited with its quality intact. It's ideal for situations where tight editing of short clips is expected, and offers very good flexibility for editing anywhere along a time line. The trade-off is that file sizes will be about 3x larger than those taken with either the IPB method, or those from previous-generation EOS HD-SLRs. A 4GB video file (Full HD 1920 x 1080) will contain roughly 4.5 to 5 minutes of video when recorded using the ALL-I compression method. 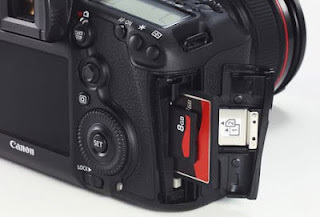 The EOS 5D Mark III now instantly creates a new file on the memory card any time the size of a preceding file reaches 4GB. Without losing a moment, recording continues on the new file. Thus, continuous video recording is possible up to 29 minutes 59 seconds, spread out over as many 4GB files as required to make that happen. The maximum allowable file size for each file remains at 4GB, but unlike the previous EOS 5D Mark II, the new Mark III model has the ability to immediately create a new file, "on-the-fly". This requires no input from the photographer. 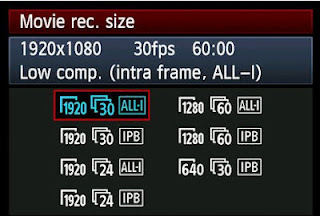 All settings except the 640 x 480 allow the choice of ALL-I or IPB video compression; the 640 x 480 setting is available only with the compact IPB compression option. * HD 50 fps or 60 fps recording places the greatest demands on memory card speed, especially during ALL-I recording. Required read/write speed during HD 720p ALL-I recording for CF cards is 30 MB/sec; for SD cards, 14MB/sec. Another big request from serious video users has been answered. 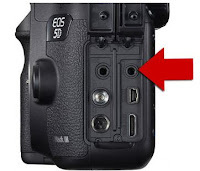 The EOS 5D Mark III has a single-pin, stereo connector for industry-standard headphones to be connected, and allows monitoring sound as it's being recorded by the camera – during actual recording, as well as during playback. Press the rear "Q" button during actual video recording to see a graphic indication of in-camera audio recording level. And, if you're set for manual adjustment of audio levels, you can silently adjust this during recording as well – see the next item. Both new high-end EOS models have a newly-engineered rear Quick Control Dial. In addition to its conventional rotational operation, a new touch-sensitive technology has been developed. This allows the video shooter to make selections of what he or she would like to adjust – ± exposure compensation, shutter speed or aperture adjustment, manual audio recording level, or ISO setting. 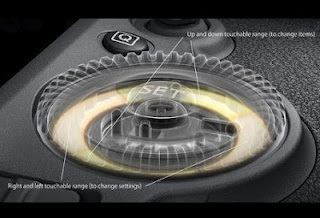 And, by just lightly tapping on the left or right side of the inner surface of the Quick Control Dial, its new touch-sensitive capability lets users silently make these adjustments, without the audible "click" of normal dial rotation. Two steps are required: make sure Quick Control Dial/silent operation is active in the video shooting menu, and then during recording, press the "Q" button to call-up the on-screen displays. Tap up or down to select the option to be changed, tap left or right to actually change the setting. 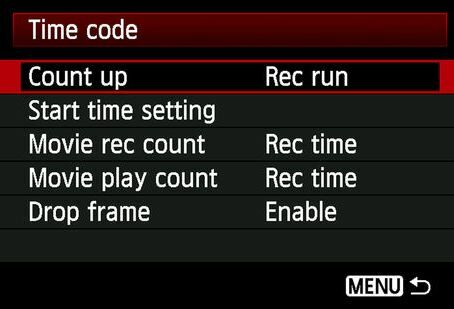 The answer to another huge request from serious video users – the EOS 5D Mark III now incorporates SMPTE-compliant Time Code capability. There's no one single headline feature for HD video recording that separates the EOS 5D Mark III from its legendary predecessor, the Mark II. 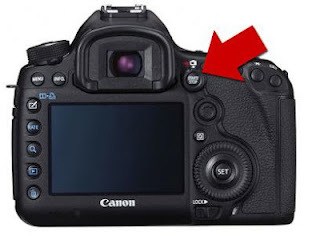 But what we have is clear evidence that Canon's engineers and designers listened to the requests and suggestions of a critical group of users – HD video shooters. And they've responded, with a variety of refinements and additions that enhance the HD video shooting experience. Image quality is better than ever, control is easier, audio monitoring and adjusting is much more effective, and editing after the shooting is done is easier as well with Time Code and choices of compression method. EOS 5D Mark III still offers all the benefits of a full-frame camera, but now, with even stronger performance aimed at the serious video pro and enthusiast. Its video capabilities merge beautifully with its superb still-imaging features, making it more than ever a go-to digital SLR for the truly critical and creative enthusiast or working professional. 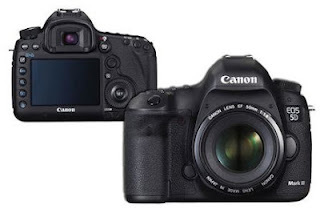 Item Reviewed: New HD video features in the Canon EOS 5D Mark III 9 out of 10 based on 10 ratings. 9 user reviews.